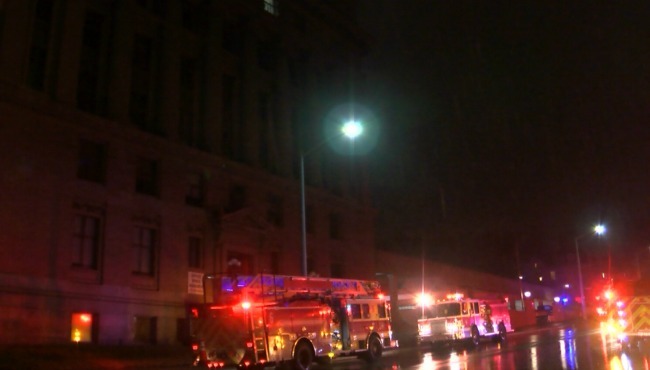 The CBS affiliate, WOOD-TV in Grand Rapids, Michigan reported early this morning that a "suspicious fire" is being investigated by police at the Grand Rapids Masonic Center. The fire was reported around 1 a.m. Wednesday at the Masonic Center, located at 233 Fulton Street near Lafayette Avenue. GRFD Battalion Chief Nancy Boss told 24 Hour News 8 that someone got into the building and set a small fire. Firefighters were able to extinguish it quickly and no one was hurt. Authorities called the fire “suspicious.” It’s unclear who set the fire and why. Forensic teams were on scene to help in the investigation. 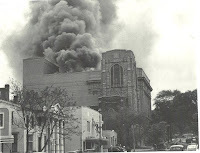 As of late Wednesday evening, no further news reports had been posted, but the damage was apparently limited. The Temple celebrated its centennial in 2015, despite a proposal the previous year to sell it, which was overwhelmingly rejected by the membership. 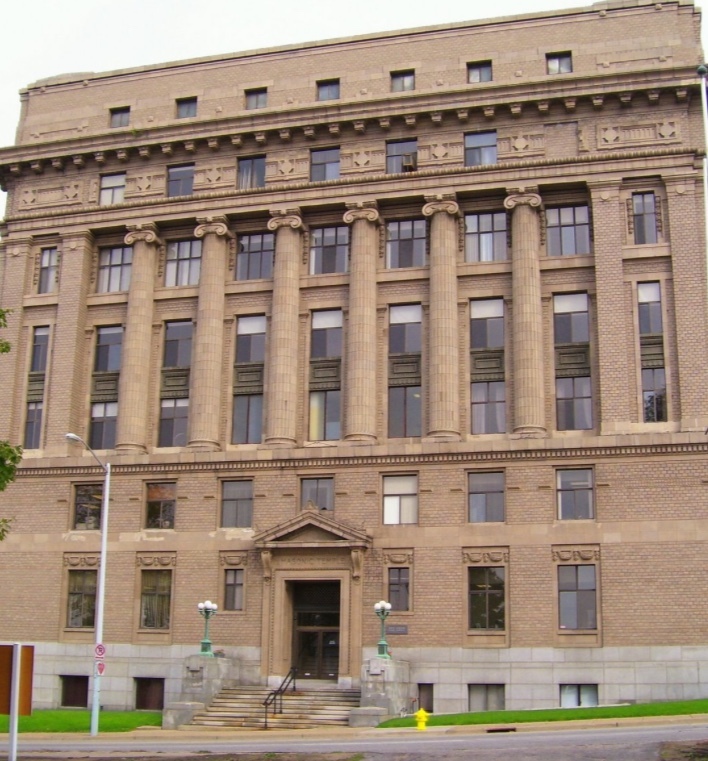 It is the home to the Masonic Museum and Library, Grand Rapids Lodge 34, Doric Lodge 342, York Lodge 410, and the Grand Rapids Valley of the Scottish Rite. 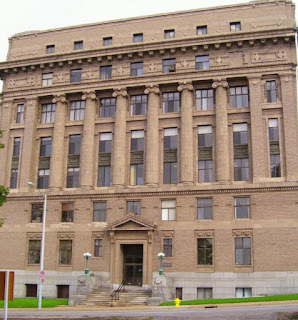 It is also the headquarters of the Michigan Masonic Charitable Foundation. Back in 1947, a much larger fire severely damaged the building (right), but an asbestos curtain drawn over the proscenium of the theater protected their priceless Scottish Rite degree backdrops from destruction. Photos of that incident appear on the center's Facebook page HERE. Heard about it at Florida Grand Masters visit. "What If Freemasonry Disappeared Tomorrow?"